Salvage & Save is a business initiative of Mobo Group who together exist to reduce landfill by accepting donated or salvaged goods and recycle them back into the community through our recycled goods shops. By donating goods you can save on dumping fees, help save the environment and help Mobo Group to provide local jobs for people with a disability. Visit our Facebook pages to follow our live posts or visit our Ebay shop for our 4 sites to see our range of current products. Our supplies vary from week to week and so a visit is a must to be sure the find that item your looking for. 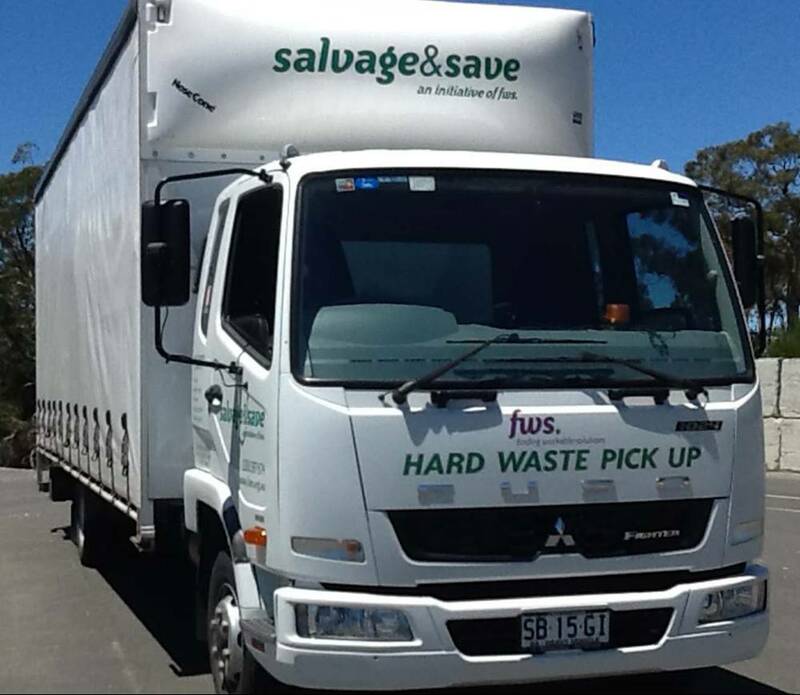 If you have quality items to donate all you need to do is call into a Salvage & Save near you and we will lighten your load before it goes to landfill. Items do need to be suitable for up cycling or resale in our Op-Shop. We offer a free pick up service for quality items, making donations even easier and we will deliver larger items for customers. Please use the contact form on this page and your message will be directed to the nearest location. In certain cases and subject to the items being disposed of deemed safe for pick up and disposal, a pick up and waste disposal service fee may be offered.